Mozilla may sound familiar because they are the company that created the very popular Firefox explorer. Well they even created a very popular email application. If you do not like the current Mail application that came on the Mac, then I would suggest looking into switching over to the Mozilla Thunderbird. Mozilla Thunderbird strikes three key points: organization, security and customization. First, I want to talk about organization. Mozilla Thunderbird makes it really easy to organize your mail. This makes your mail look more clean and much easier to find. Next, I would like to talk about the security portion. The goal Mozilla wanted was to make your mail and identity as safe as possible. They did this with protecting you against viruses and email scams. Then finally, I want to talk about customization. For those that do not know, Mozilla Thunderbird is open source. Meaning anybody, even you can create plug in’s to make the email client even more amazing. So you can fully customize it to your liking. 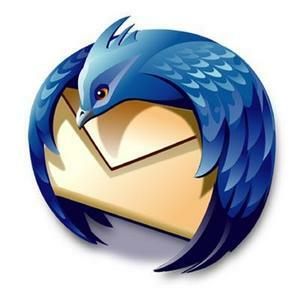 Mozilla Thunderbird is a great email application. If you are having any problems, or do not like the feel of your current email application, switch over to Mozilla Thunderbird. You can customize your email the way you like it, making it even safer and more organized. I would definitely recommend this email application to anybody. Nobody likes cluttered email, and they have solved that problem. Everybody enjoys their privacy, and make sure there emails are safe, and they have defiantly solved this problem. Then finally no email client is perfect, but with Mozilla Thunderbird you can customize it so it is to your 100 percent satisfaction. I am using mozilla thunderbird in my XP pc.. and I can say that it is good 😀 I really recommend it. Mozilla’s products are absolutely awesome. They make really good alternatives for Microsoft’s offerings, I run Thunderbird on my PC, and although I haven’t got much Mac experience (apart from aspiring to own one) I can highly recommend Thunderbird as a superior email application.